Getting blog traffic and increasing more awareness to your work is a real struggle for most bloggers. This blog is less than 5 months old and I am glad to say that I am now getting the traffic and income that I want. The income portion can be a bit more, but otherwise, I am heading on the right track. For the last few weeks, I spent some time studying multiple bloggers to see what exactly they were doing to increase blog traffic. I then decided to give the good old Facebook a try! 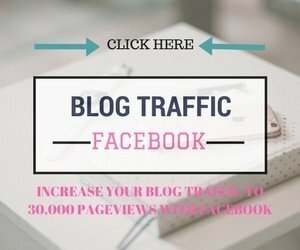 How to get a huge amount of blog traffic with Facebook? Speaking of Facebook, if you are not part of our Facebook group, please join it now: Babes Make Money Online! How I increased blog traffic to 6,000 in less than 2 months of blogging! After this, I seemed to always be stuck around the 9,000 mark and the 10,000 mark. Which was okay, but to increase my affiliate sales I needed a little bit more eyes on my work! And if you are looking for ways to improve your traffic then this is for you. 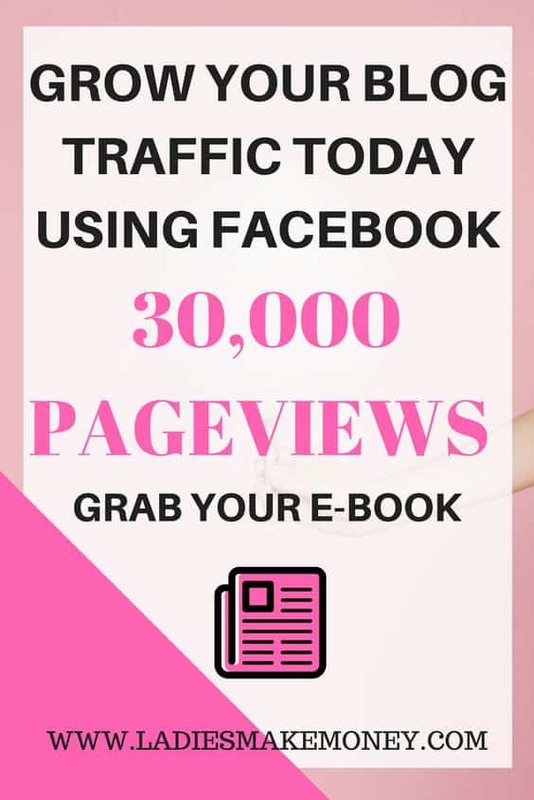 I created this e-book which is almost a step by step instruction on what I did, tweaks I made and frequency of posts I created to help boost my blog traffic with Facebook way above what I expected. My dear friend over at Culture Weddings bought the book and followed my instructions almost to the T. And I say “almost” because she made few little tweaks to ensure it worked for her niche. She is almost at 30,000 page views per month. But she is working hard, I get regular emails from her and tweak things as we go. She is happy with this number as she was able to apply for ads specifically with Media.Net and she is now able to work with brands to help boost her monthly blog income! This eBook is for all bloggers that are looking for a way to get more blog traffic. If you are tired of getting 10 pageviews a day and looking to boost this as soon as possible, then this is for you. And you can almost see the traffic instantly if you put the work into it. You do not need to wait to see results, unlike Pinterest. Trust me, we love Pinterest and we talk about it in the eBook. How to grow your blog traffic with Facebook is an “implement now” strategy and see results now kind of book. All of this without paying for Facebook ads! WHAT HAPPENS WHEN YOU HAVE MORE PAGE VIEWS. Bloggers are constantly looking for more page views for several reasons. I will list a few things that happened to me after I started seeing a blog increase by just using Facebook. My affiliate sales are increasing!!! This one made me so happy as I am now getting frequent sales right from my blog and I will hit my target if this continues. I applied to work with a better ad company which means better monthly income. I know I need a bit more blog traffic for this to make sense, but it is a start. And I was not REJECTED! I can now work with brands such as Linqia to boost more income. I also love the fact that work is getting read and it’s not just sitting in the dark! What are some of your reasons for wanting to increase your blog traffic? Don’t delay your progress any further and start getting results. We are also fully available on email to help you further boost your blog traffic. We want you to succeed as much as we have! So far, we have had fashion bloggers purchase the book, wedding bloggers, travel and lifestyle bloggers, finance bloggers and they are all loving it, based on the feedback I am getting. Thanks for the tips, its important to start off on a strong foot. But blogging is hard work and takes a lot of time. People have to be dedicated. I do agree! Blogging is extremely hard. Lots of marketing and promotion needs to be done. The behind the scenes is so much work. Dedicated individuals will see the results. Saved to refer back too many times. As a newer blogger I thank you for sharing your wisdom! Yes, without traffic, your blog won’t get far! Just getting started blogging, and loving your tips. Thank you! Good luck with your blog. You will do well!!! I was focusing most of my energy on Pinterest and you are correct it is a lot of work. I just last night realized after looking at my stats that all my work put into Pinterest is not where my blog traffic is coming from. It is coming from Facebook. I don’t have many Facebook followers because I was focusing on Pinterest. I am going to change that up. Yes focus on where your audience is! Really great tips! I think that getting consistent and enough traffic to produce revenue is really tough for a lot of bloggers. 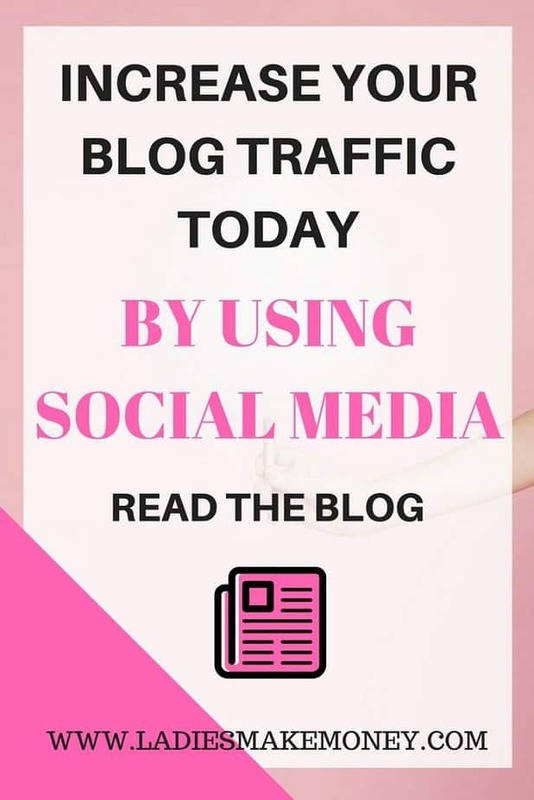 I have found that promoting in FB groups help with traffic too, because that allows people that may not have ever organically found your blog to see it. Yes for sure. Without traffic, your blog will grow but not by much. What you do with the traffic as well is how well your blog will eventually do! Great tips! Social media, especially Facebook, has always been a challenge for me! I’m sure your book will help me with this. Let me know what you think of the book! Be sure to email if you need additional help! Great post! I needed to read this today, I have been hitting a bit of a facebook roadblock. Thank you so much for sharing! I get the most traffic to my blog from posting in Facebook groups. This is a great post! Thanks! This sounds great! That’s a lot of traffic in a short amount of time. this is so full of amazing advice! definitely saving so i can refer back to this! I am glad you found it useful Tara! This is such a struggle for me. After all the hard work of consistent wrting who wants their blog to only get a few hits. Thanks for the info. I need to buy your Ebook! 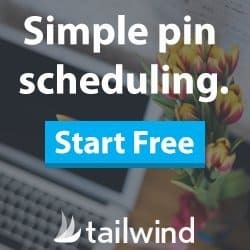 This sounds like a great resource to grow a Facebook audience. It’s definitely one of the most difficult platforms to gain followers, but it would be powerful to have such a large following. Thanks for offering this! Facebook is great for growing your audience. And the e-book outlines the steps you must take to continuously grow! That’s great! It’s nice to hear when a fellow blogger is doing well with income and traffic. It’s encouraging and motivating to read. Thanks for sharing this with us! Thank you for stopping by! I will be checking out your site! Thanks for always providing such valuable tools! Great information, thanks for sharing! I struggle to get more visitors but will definitely need to try to use my Facebook page more. That’s an inspiring post for all beginner bloggers, thank you for sharing some details of your journey and some numbers too 🙂 ! Social media has been instrumental in the growth of my business, both online and off! I love the power of social media! Great Tips!!! I love this!